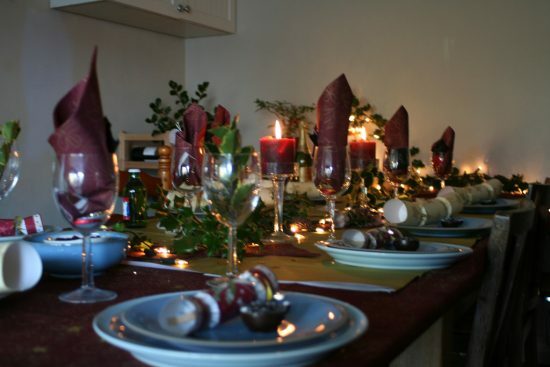 Will you invite too many people for your Christmas this year or celebrate only with your family members? 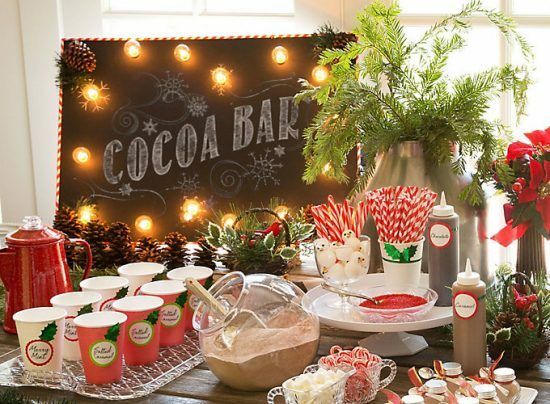 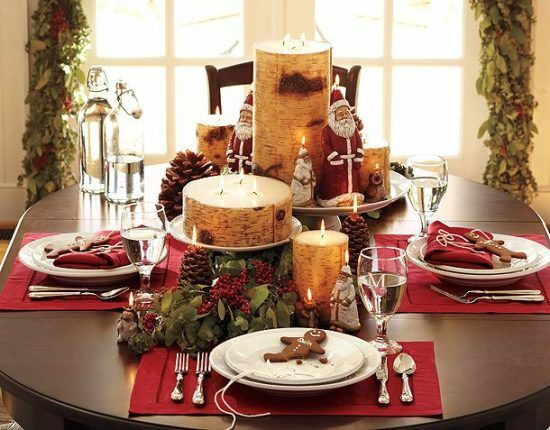 Your decision will define the centerpiece of your Christmas celebration and the perfect way to decorate it. 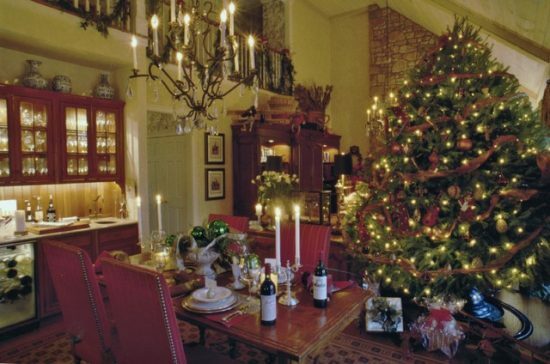 The Christmas tree with its traditional colors including green, red, blue, and white can be a cool centerpiece to any Christmas celebration. 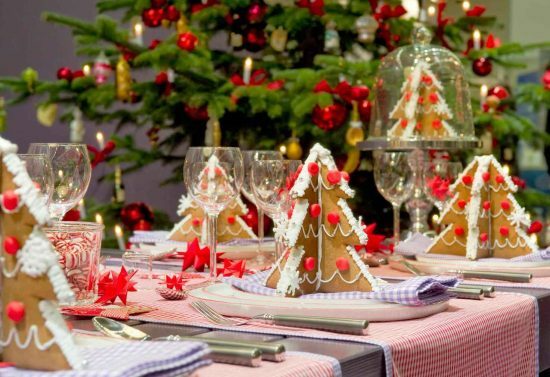 You can get a natural or artificial tree with your favorite size and make sure that it will be the queen of your celebration. 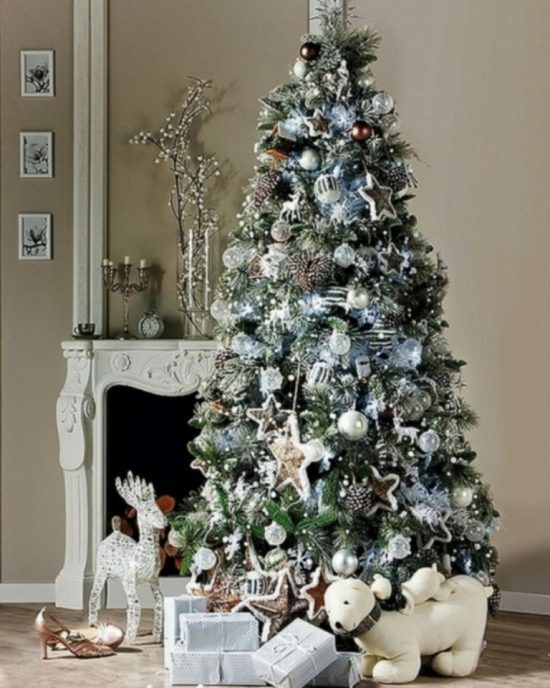 There are countless alternatives to the large Christmas tree beginning from different sized pieces of wood painted in green and arranged on the wall on the shape of a tree to the under-the-sea Christmas tree products. 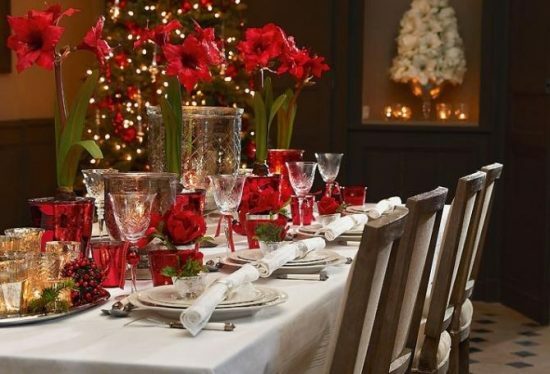 The centerpiece of colorful flowers and fruits is perfect for your dining room and kitchen, especially if you can surround them with romantic candles or fresh green plants. 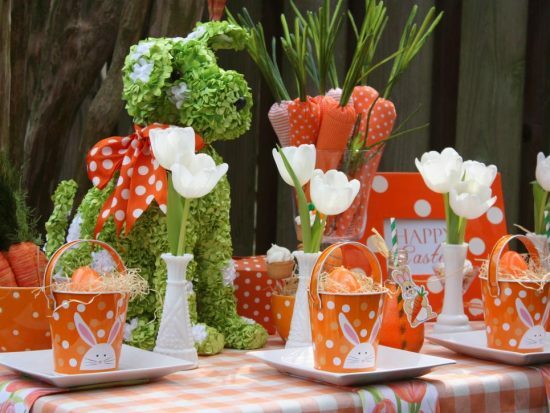 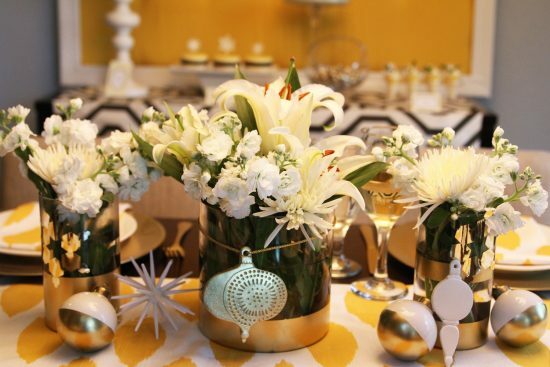 Such table centerpieces should combine most of the elements used in your celebration decor; so, you need just to visit the nearest craft décor and find a combination of reflective and sparkling small ornaments with different shapes and cheerful colors in addition to battery-operated candles. 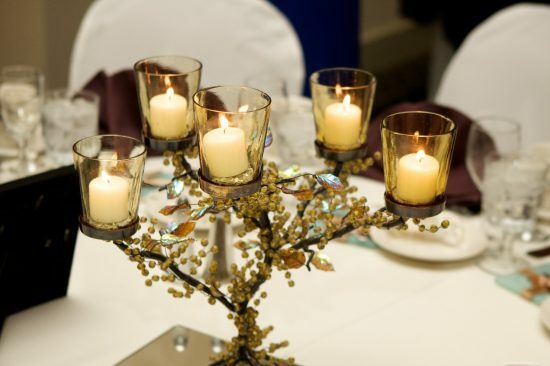 Now, you should choose a suitable sized and shaped container to display your candle along with such well-arranged ornaments. 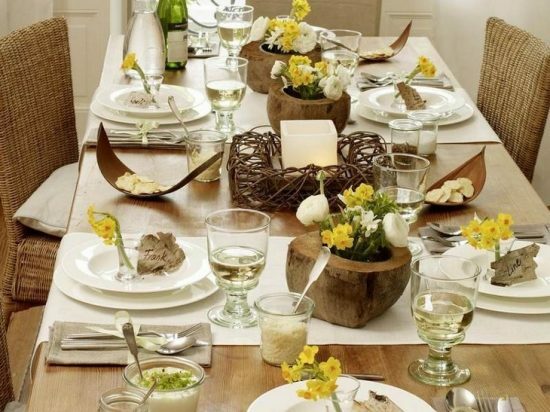 The rule of “Less is more” never gets wrong in your home decor. 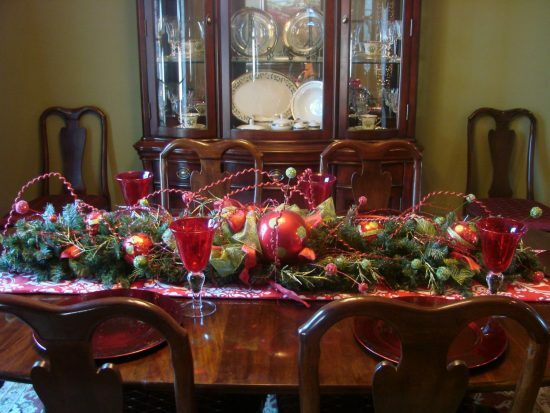 However, when it comes to decorating your Christmas centerpieces, you can use many items with different colors to grape the attention of your different-age guests at the first glance. 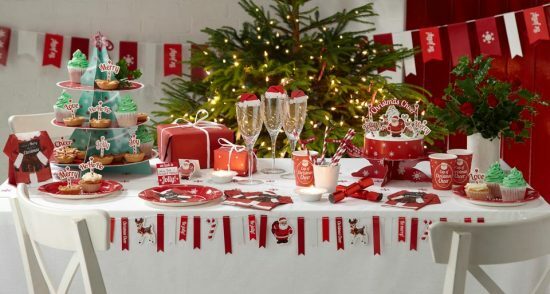 Instead of using several small ornaments, you can create or purchase different sized wrapped gift boxes, arrange them on the shape of a Christmas tree, and tie them with an ornamented ribbon to be a perfect centerpiece to the table of your dining room or living room. 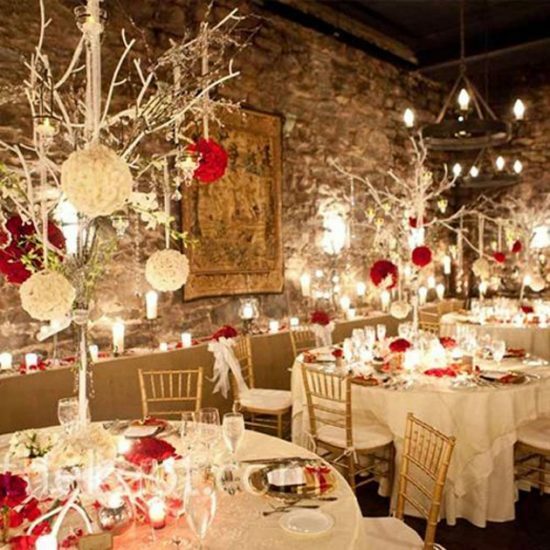 You can find ready-made white Christmas centerpieces with ice trees and icemen in addition to the white candles. 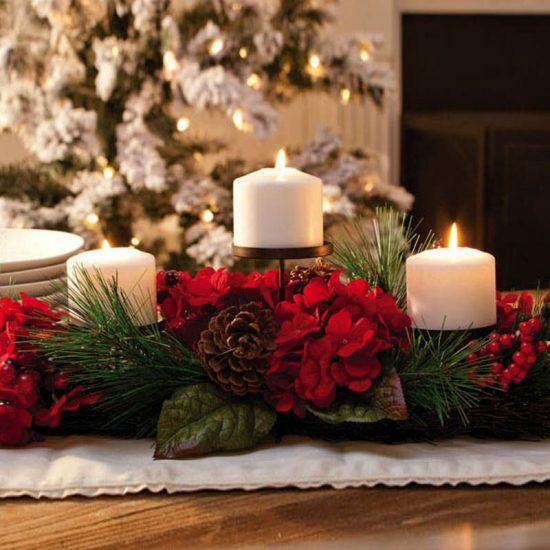 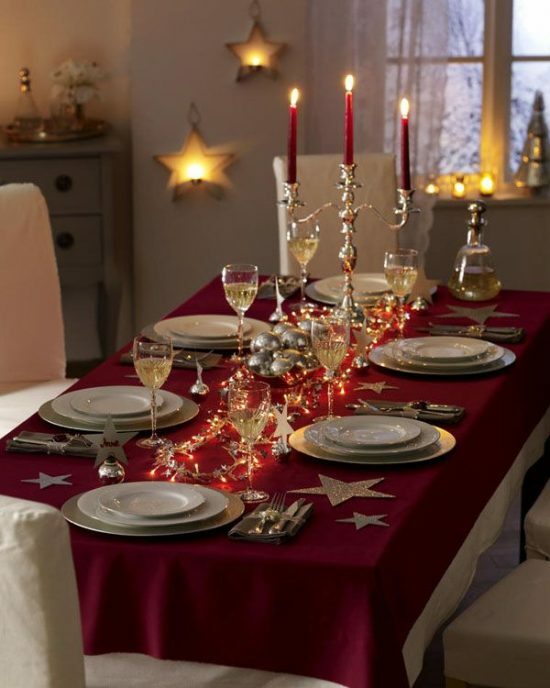 This centerpiece is perfect for the informal Christmas celebrations and the normal days’ decor.